still have your wheels and tires? I have the custom wheels on my 69 rs/ss but I want ones like yours. Do you still have them? Trim rings are polished stainless, the clips wrap around the outer lip of the wheel (not your typical spring clip hub cap). The hat portion of the derby caps are polished stainless, the domes are chrome plated alloy, and the writing on them says" Chevrolet Motor Division". Last edited by Camaro 69; 09-27-2018 at 12:34 AM. 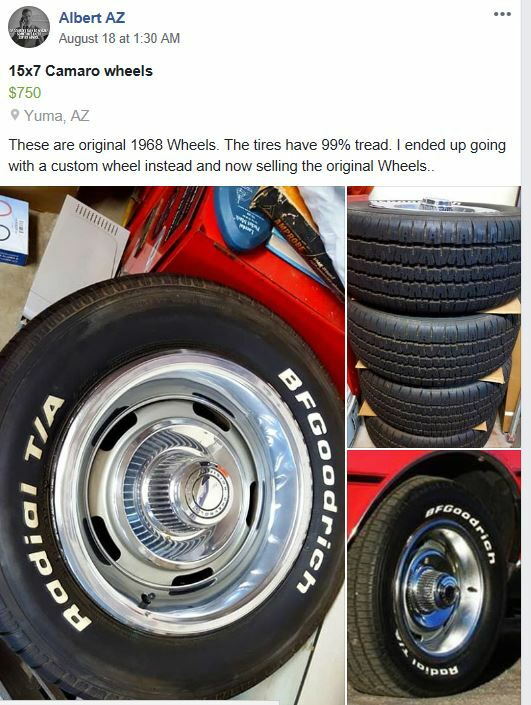 68 Rally Wheel and Tire Options?